It can get very hot in Sierra Leone, in West Africa - but Chippie and Delilah know just what to do about it. 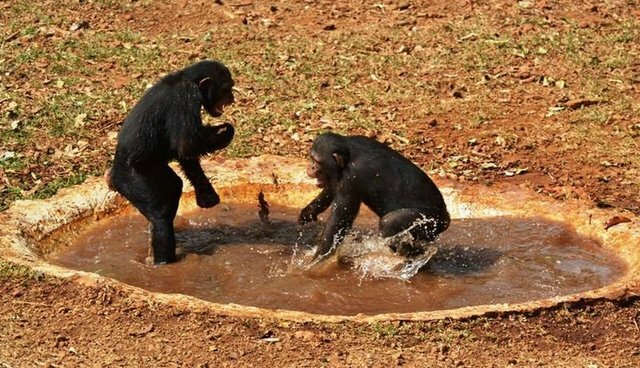 The chimps - who are between 6 and 8 years old and who live with a group of a dozen others their age at Tacugama Chimpanzee Sanctuary - take advantage of the heat to have a little fun. The playful chimps are at Tacugama for a grave reason, though. 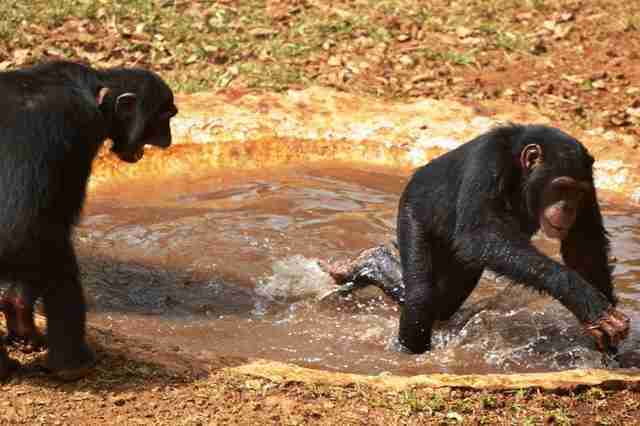 Chimps like Chippie and Delilah are orphans because of bushmeat hunting or human wildlife conflicts. But they still know the importance of recreation. 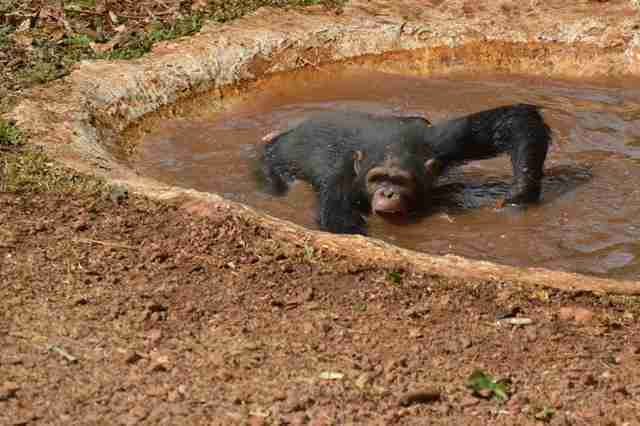 "It is very hot in Sierra Leone during the dry season and the chimps love to cool down in their little pool or just play with the water," Sofie Meilvang, program manager at Tacugama, told The Dodo. 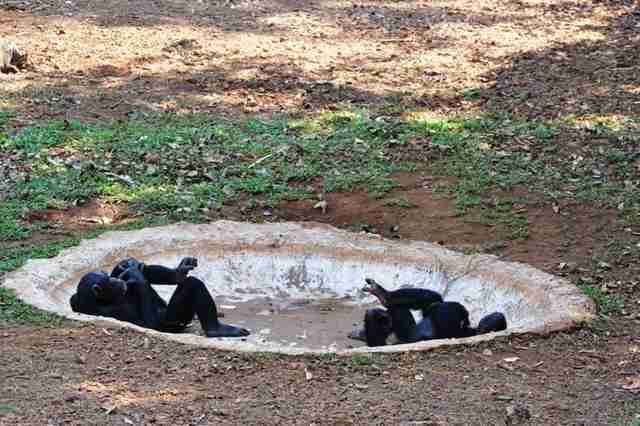 "The chimps in this group are generally very active and spend most of the day playing." Meilvang added: "As chimpanzees cannot swim, the pool is very shallow." 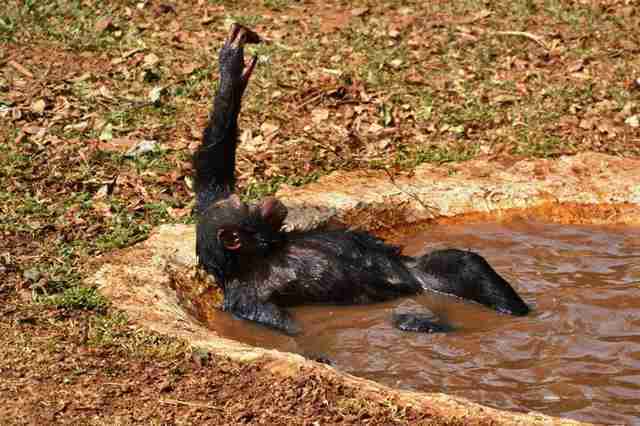 Even when the rains dry up, the chimps love hanging out in the pool, waiting for the next party. Click here to learn how you can help the chimps at Tacugama.